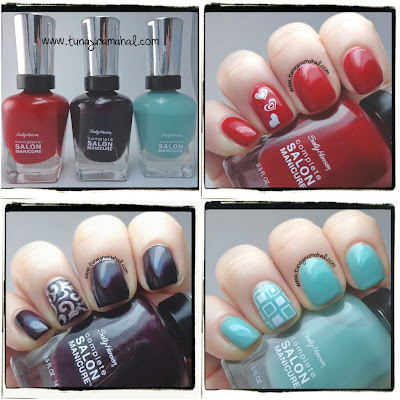 Today I have some Sally Hansen Complete Salon Manicure colors that were sent to me for review by Influenster. I was sent three different colors: Red My Lips, Pat on the Black and Jaded. I own a lot of different Sally Hansen nail polishes but this is the first time I've tried the Complete Salon Manicure line. Red My Lips is a gorgeous bright red color. Formula was just right. Not too thin and not too thick. For real life you could get away with just two coats. Under the bright lights in my lightbox I needed 3 coats. You don't really need a topcoat because it's glossy on it's on, but because I stamped I used HK Girl Fast Dry topcoat and stamped with Winstonia Store 2nd Gen plate W207. Pat on the Black is a deep dark purple color. I don't own any purples this color. Another great formula. You could definitely do two coats and be opaque, but for pictures I did 3 coats, plus HK Girl Fast Dry topcoat. I stamped with Winstonia Store 2nd Gen plate W203. Jaded is pretty aqua green color that reminds me of China Glaze For Audrey. I did not like the formula on this one. It was way too thin. I needed 4 thin coats to get it opaque. I tried doing thicker coats but it would just bubble on me. You have to be careful because as I was applying coats, the coat underneath would drag and streak. HK Girl Fast Dry topcoat and Winstonia Store 2nd Gen plate W201. 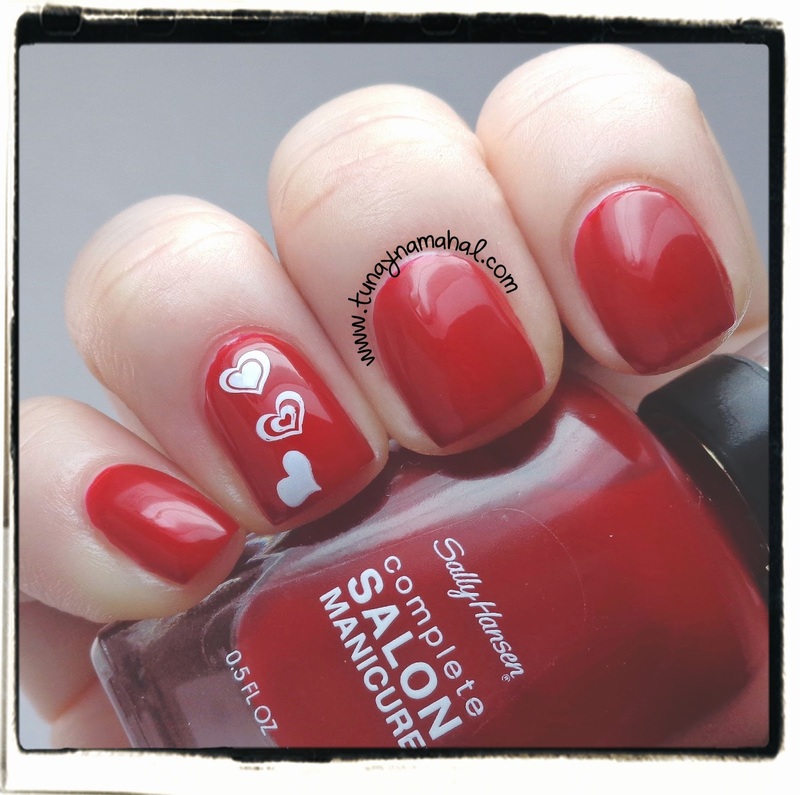 Have you tried any of the Sally Hansen Complete Salon Manicure polishes? What did you think of them?